R and I Automotive prides itself on taking excellent care of the Lexus cars our customers entrust to our care. Out certified ASE mechanics can diagnose and repair any issue your car may face. Lexus service and repair is want we do each and every day. Whether you have a major problem, or simply need a minor service, we are here for you. Lexus is the legendary luxury brand of the legendary Toyota Motor Company. Toyota Production System has revolutionized not only car manufacturing, but all manufacturing around the world. If you ever heard the term “Lean Production” or “Lean Manufacturing”, you were dealing with a derivative of the Toyota Production System. Fanatical about quality, Toyota cars are well known for reliability and trouble free operation. Lexus is no exception, and it takes the quality to the new level, offering luxurious experience that is second to none. However, like all vehicles, even a Lexus requires an occasional visit to a mechanic. It might be for Lexus manufacturer recommended service, brake pad replacement, or simply to rotate your tires. R and I Automotive is a full service repair shop that offers top quality customer service and top quality repairs and services. 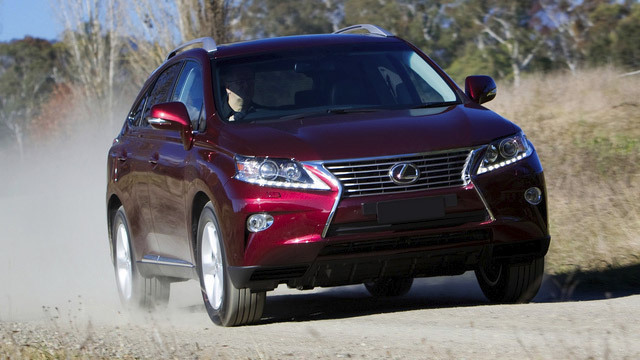 We can take good care of your Lexus, and get the work done usually the same day. If your car requires more extensive work, we will contact you to get your authorization before we proceed with the repairs. Driving a Lexus is a delightful experience, and regularly servicing your car minimizes chances of trouble while on the road. Any Lexus is capable of virtually trouble free operation for years, and hundreds of thousands of miles, if it is regularly serviced. At R and I Automotive we not only take care of your car, but will send you a reminder when it’s due for next service. Lexus quality notwithstanding, if you are experiencing anything out of the ordinary, make an appointment online or give us a call. We will diagnose and repair the problem and get you back on the road as quickly as possible!